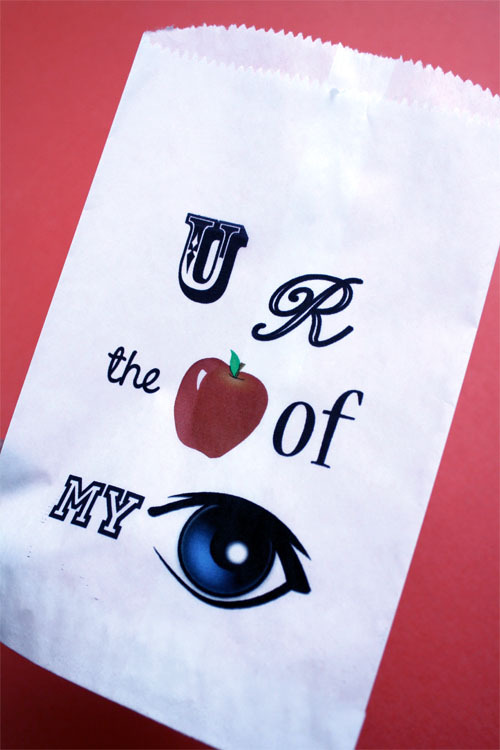 Here is an extra special treat for the first day of school or whenever you want to send a special message to school with your child.– A printable sandwich bag. Gather some flat white sacks and painters tape. 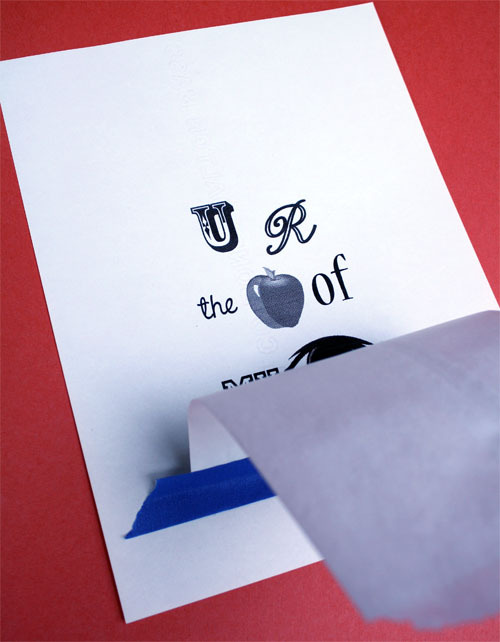 Print one copy on draft setting on a piece of copy paper (good way to use up scratch paper). 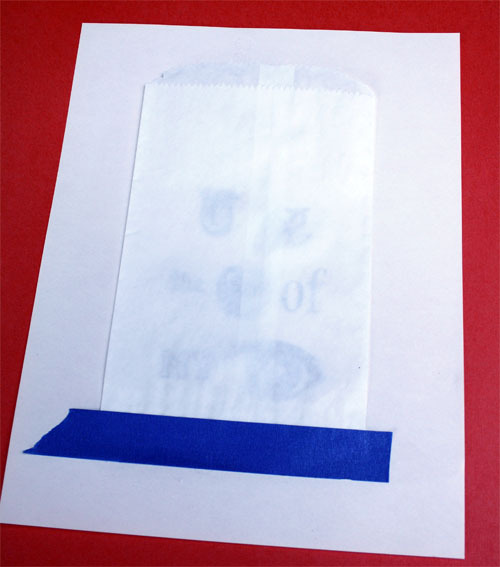 Now position the bag over the image. 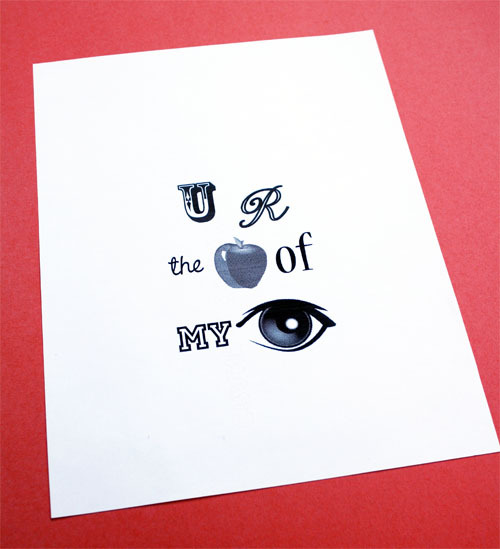 Run this page through your printer. On my desk top printer I place it face down with bottom of sack placed in first. 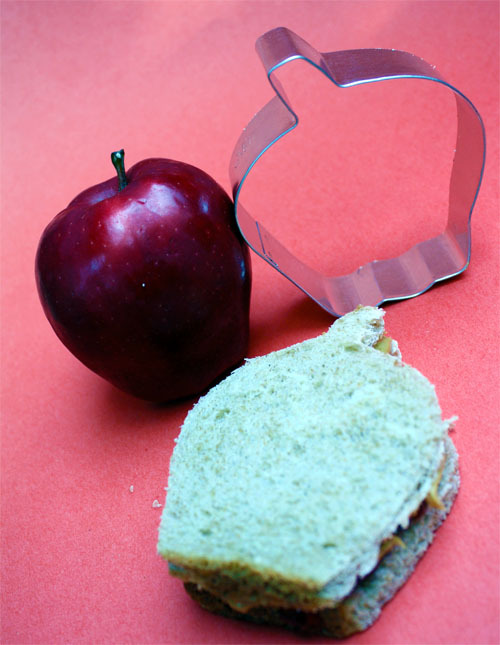 Cut your sandwich into an apple shape to make lunch extra special. A yummy lunch with a special message! 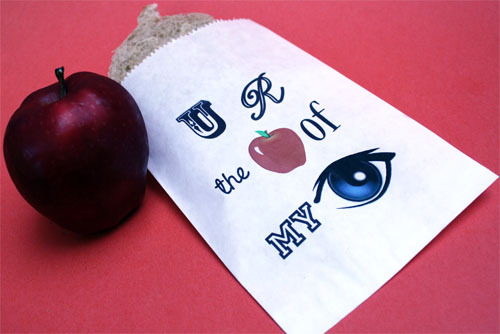 If you are looking for more ways to send special messages to school try these fun tags for fruit and these editable lunch sack notes. I love this! 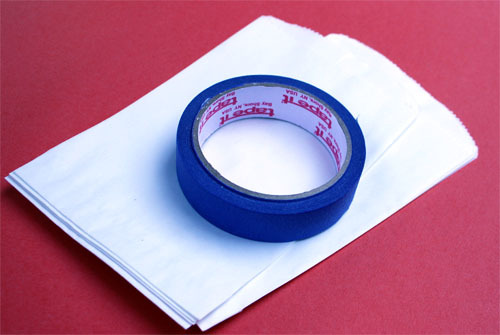 I never would’ve thought to tape something to a piece of paper. It seems like there have to be a ton of creative applications for doing that. Did you have any problems with it jamming at all?